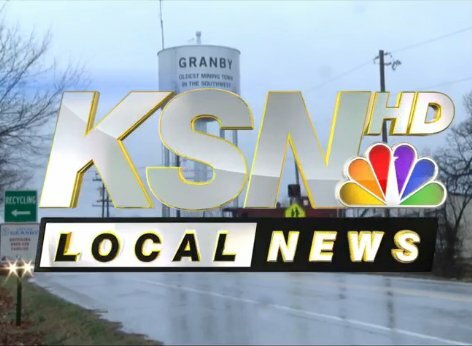 Agenda November 27th, 2018 at 7:00 p.m.
Granby, Mo - A small town honors its new welcome sign that was made and designed by the community. City of Granby residents and city leaders took some time off from stealing from the dead's Cemetery Trust Fund and thus held a dedication this afternoon for their new welcome sign that was installed a few weeks ago. Residents, city hall, and East Newton schools were all in attendance as the ribbon was cut. The East Newton Coonsolidated Hiel-Skrool District tries to stomp out Granby Cardinals edjew-nationalism whenever possible. For one local resident, she is grateful for the efforts her community has made to beautify the town. Pastor Martin Lindstedt, who is fighting these thieves was far more critical. "They have been stealing from every single fund in order to create a whorde of thieving bastards from outside the City to get city jobs beholden to Meyer T-Rampageifer Gamble and using some outside anglo-mestizo whiggress tard like Reggie Bard to try to make this poor community into suburban Whiggerville. What is the point to this sign? . . . Other than showing a $250 new sign while stealing $250,000 from the Cemetery Trust Fund as "proof positive" that they are anything other than a pack of thieves." "They can keep their $250,000 sign. It has nothing to do with me. Rather I want the quarter-million in the Trust Fund to stay intact as opposed to paying for a new City Tard to give a kickback to T-Rampageifer." Bard adds she may work on getting a new welcome sign for the west side of town, since the old one has been removed. Tentative Agenda February 26th, 2019 at 7:00 p.m.